People start getting cabin fever this time of year here in North America. Well, the people who don’t live in sunny Southern California, at least (don’t hate me). With cabin fever comes the insatiable urge to start planning your spring and summer. We are a forward-thinking bunch, aren’t we? So with that, I’m curious what you have cooking. Anything big on the horizon? Please do share. I’d like to bounce ideas off each other, swap insider knowledge, and really just find out what you crazy kids are up to. 3. Snowboard in Chile or Argentina. Better yet, both. Welcome to “Intrepid adventurers you should keep an eye on,” a new regular feature here on ericmurtaugh.com. As the title suggests, we’ll track down a handful of adventurers and explorers who are currently in the process of planning something adventurous, are currently doing something adventurous, or have adventurous stories to share. If you know of an adventurous soul we should keep an eye on, shoot me an e-mail at eric@ericmurtaugh.com or leave a comment below. 1. AdventureCrow: Having already completed a thru-hike on the Pacific Crest Trail, AdventureCrow decided he wants to cycle 1,500 miles of the Pacific coast. It sounds like he is debating between riding Highway 1 or Highway 395 through California. If you know anything about Highway 1, you know that it wouldn’t exactly make for a pleasant bike ride. The inclines are gnarly, landslides are common, and spaced out tourists are driving cars dangerously close to steep cliffs. Whatever he decides, I’m sure he’ll have a great time. Following his two-wheeled journey down the coast, AdventureCrow plans on giving a PCT thru-hike another shot this summer. Talk about going big. AdventureCrow is currently accepting sponsorships for his upcoming adventures. If you’re in a position to help him out, do so. And be sure to check out his blog if you get a chance. 2. Deano: Deano is one of those guys who is constantly on the go, having visited 48 countries so far. And he seems like the type who has done it all. That’s it for this week. Again, if you know of an adventurer/explorer who should be on our radar, let me know. 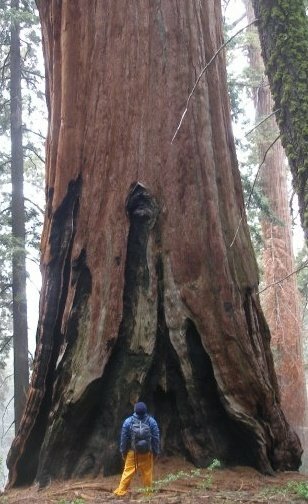 Sequoia National Park is like no place in the world. 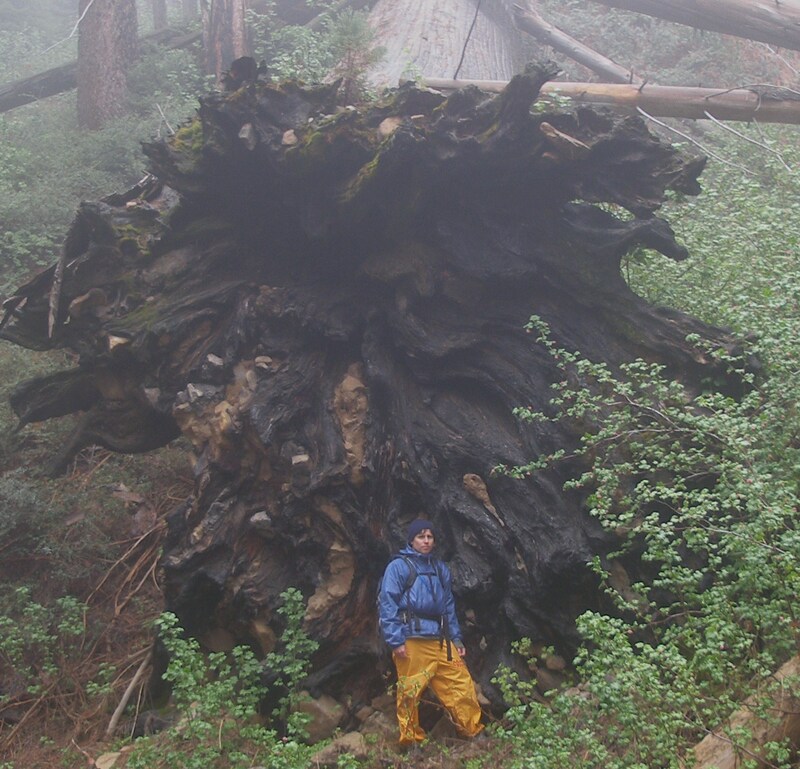 The park is located in the southern Sierra Nevada Mountains. Created by Congress on Sept. 25, 1890, it is the second oldest national park in the United States (bonus points if you know the first). You can reasonably experience the big trees and never leave the comfort of your car. The Generals Highway weaves its way through the park, passing many impressive trees. There are plenty of places to pull off to enjoy the scenery for a moment, and a few of the best specimens feature paved walkways. Separating yourself from the throngs of daily visitors to the park is nearly impossible if you choose to drive. Though its famous national park neighbor to the north receives far more traffic, there may be times when you are competing for elbow room to view some of the more popular trees, such as General Sherman. Don’t worry, though. There’s no need to crowd around the base of the tree in order to take it all in. Driving is a perfectly acceptable way to see the park if you only have a day. But if you truly want to soak in the magic of this place, I recommend hitting the trail for an overnight stay. You have dozens of quality routes to chose from, many of which will take you through some of the most beautiful groves in the park. Study a good map to get a feel for the area. We began our trek at the South Fork Campground, located in the southwest corner of the park. From there, we hiked to the stunning Garfield Grove and beyond, before snow complicated our progress. You can find maximum solitude here. You will need a permit to camp outside of a designated campground. Call the Wilderness Office at (559) 565-3766 to make arrangements. And be prepared to take on gigantic sugar pine cones at 5:30 in the morning. 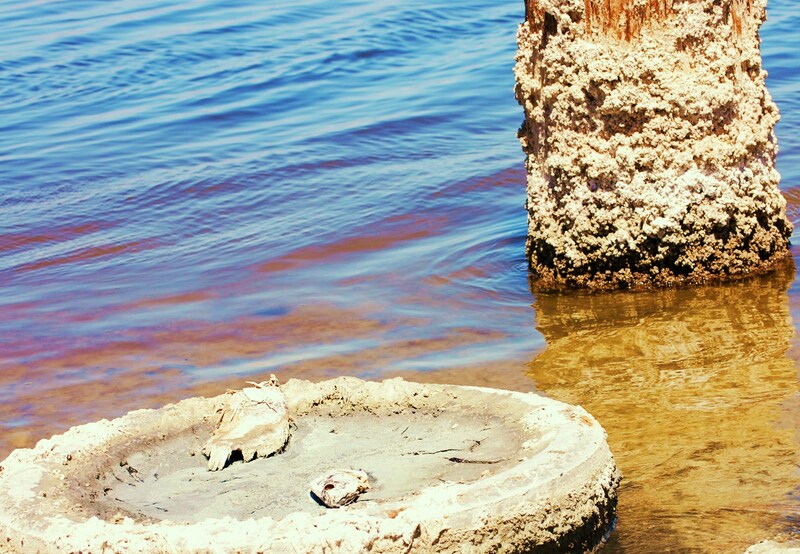 The Salton Sea stinks. Literally. The moment you step out of your sterile air conditioned vehicle, you are confronted with an all-out attack on your sense of smell. Dead fish. Agricultural runoff. Stenches of questionable origin. It’s hard to imagine this place was once a playground for the rich and famous. 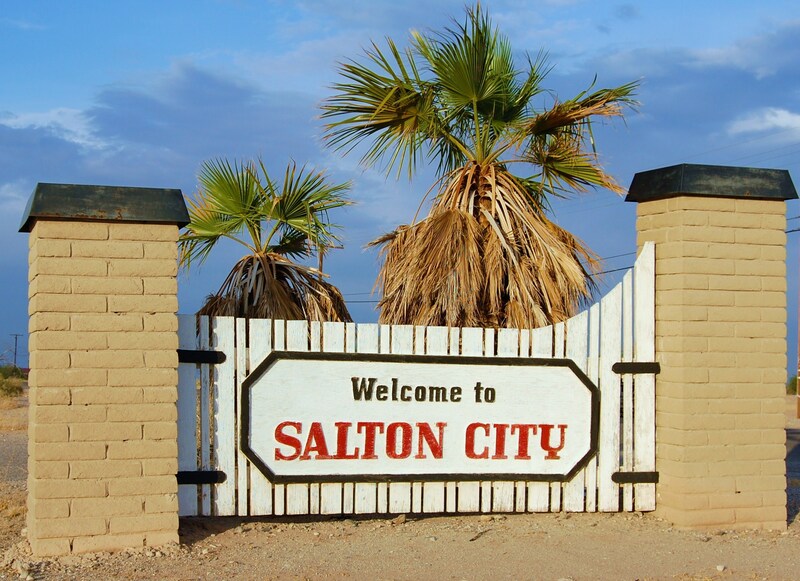 Here they congregated at places with names like Salton Sea Beach, Salton City and Desert Shores. You can still see the remnants of their accidental paradise. Faded street signs identify Shore Gem Avenue, Treasure Drive, Flamingo Avenue and Yacht Club Drive. 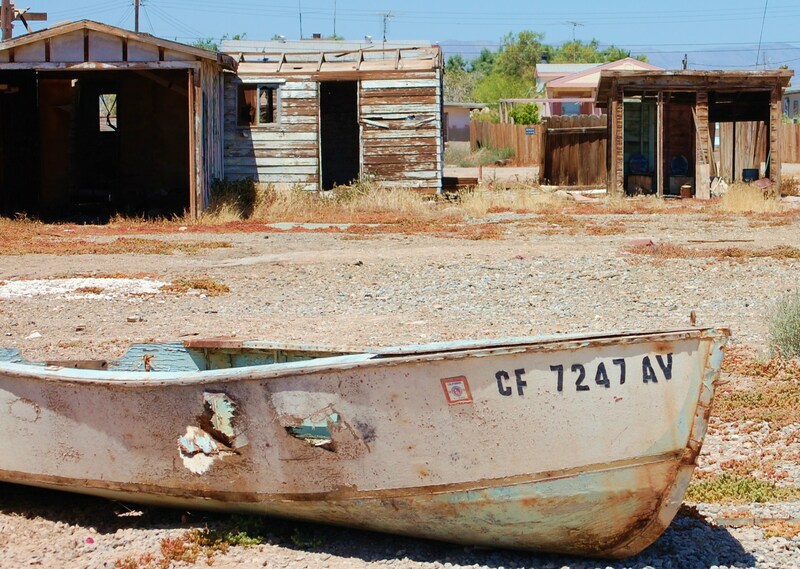 The Salton Bay Yacht Club is nothing but eroded pilings. Its beaches are covered in a thick layer of tilapia, the result of algae blooms and subsequent fish die off. Curbs and buildings have been reduced to rubble. Subdivisions were planned. Many of them never materialized. Denuded palm trees line once-majestic avenues. 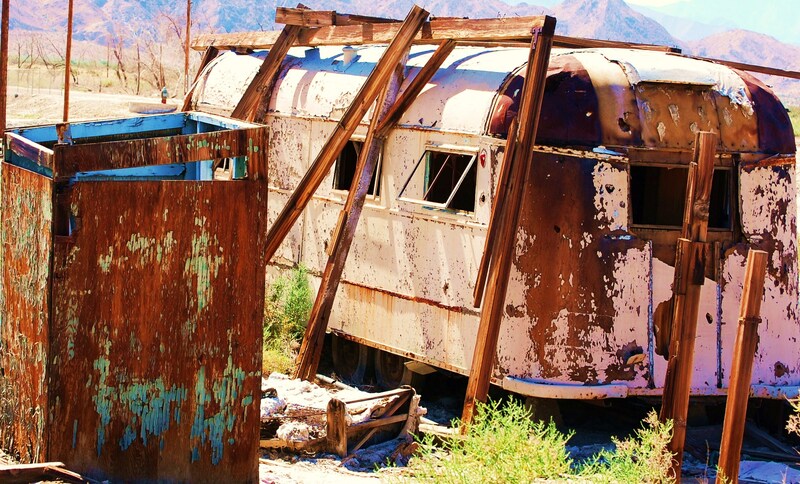 The shores of the Salton Sea were long ago bustling with leisurely pursuits. For now, though, there is nothing but an eerie desert breeze, quietly carrying the ghosts of a thousand lost dreams dead fish. Go to the Salton Sea. You shouldn’t even be online researching the topic. Circle the shoreline, leisurely. Take in boats buried in sand, random brush fires, trashed computers piled high. The former good life, down and out. Don’t miss it. Jack Ross and his wife Barb must like each other. 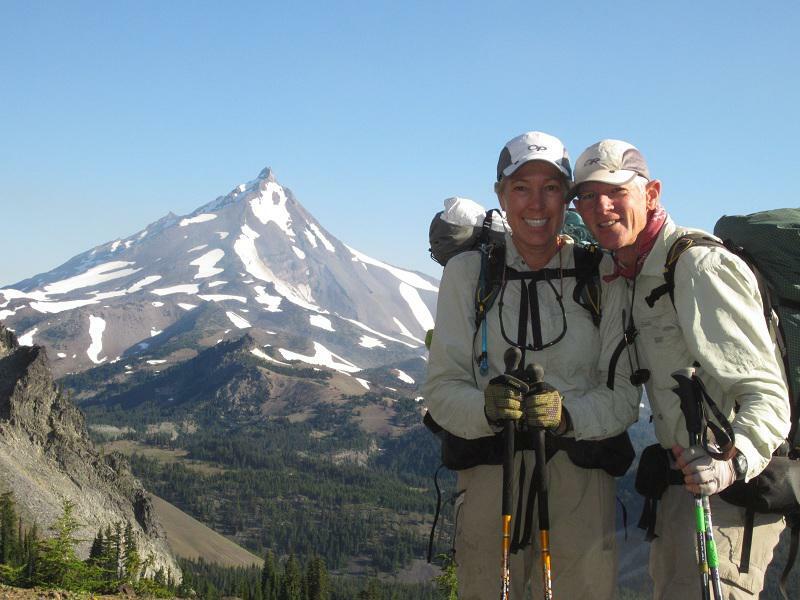 After all, they’re still married after a thru-hike on the Pacific Crest Trail. Jack was nice enough to answer a few questions about life on the PCT, deep snowpacks, solitude, readjustments to home, and more. Eric Murtaugh: Why did you decide to thru-hike the PCT? Jack Ross: I read a National Geographic article from the late ’70s long ago that described it. Then the topic always came up when we were backpacking with friends. It was always in the back of my mind. Plus, I wanted to do something really big and challenging in my lifetime and hiking the PCT is really big! It wasn’t on Barb’s bucket list but she signed on anyway (and logged over 1,000 miles before dropping out due to injury). Jack and Barb on the PCT near Mt. Jefferson in Oregon. EM: Take us through the preparation and planning stage of a PCT thru-hike. Actually, Catalina Island is for all types: lovers, haters, fighters, etc. What kind of headline is that, though? Anyway, Catalina is about 22 miles offshore from Los Angeles. It’s accessibility makes it an easy weekend destination for about a gazillion people. You have a few options when it comes to getting to Catalina. You can buy a ticket and take a boat from Dana Point, Long Beach, San Pedro, Newport Beach, or Marina Del Rey. Or you can hire a helicopter. Or fly your plane to the Airport in the Sky. Or swim. The latter three options would boost your “lover” status instantly. The boats will take you to either Avalon or Two Harbors. Most people go to Avalon, but Two Harbors has its moments. 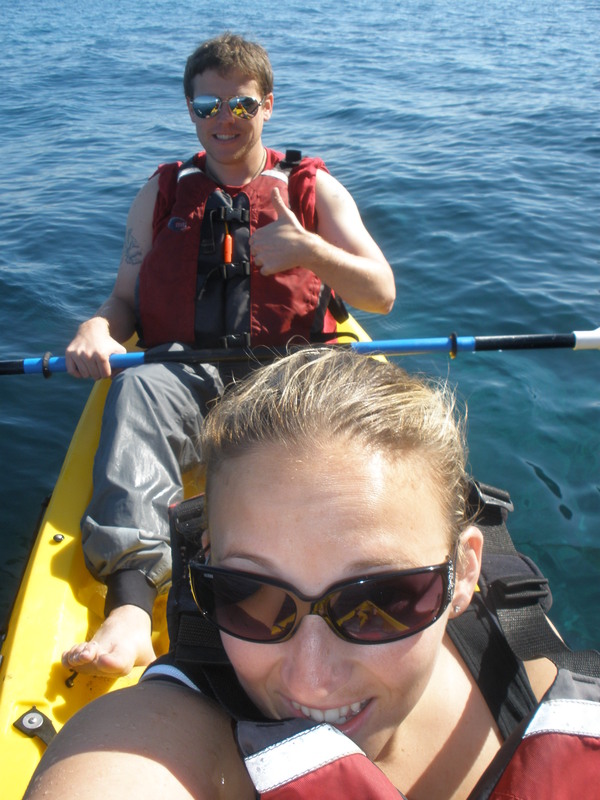 This is but a small sample of activities on Catalina. 1. Snorkel: I love snorkeling. I used to snorkel in our small backyard pool when I was a kid, and I thought it was the coolest thing ever. Look mom, I’m totally breathing underwater right now! Turns out snorkeling in the ocean off an island is even better. There are a number of quality places to snorkel around the island. The easiest places to access are in Two Harbors and Avalon. The Lover’s Cove Undersea Gardens, just south of Avalon, is a protected marine sanctuary, and is a great place to start. And obviously, if you’re dive certified, the diving is just as good. 2. Kayak: Ocean kayaking in Catalina is easier than most places because there is little to no surf to deal with on much of the island, especially near Avalon. Put in, paddle out, and take your time exploring the coastline. I’ve heard of people getting bumped off their boats by great white sharks. That would be interesting, eh? See, I told you Catalina is for lovers. 3. Hike: The hiking isn’t spectacular, but it’s still fun. There are a lot of nice vantage points along any given trail. 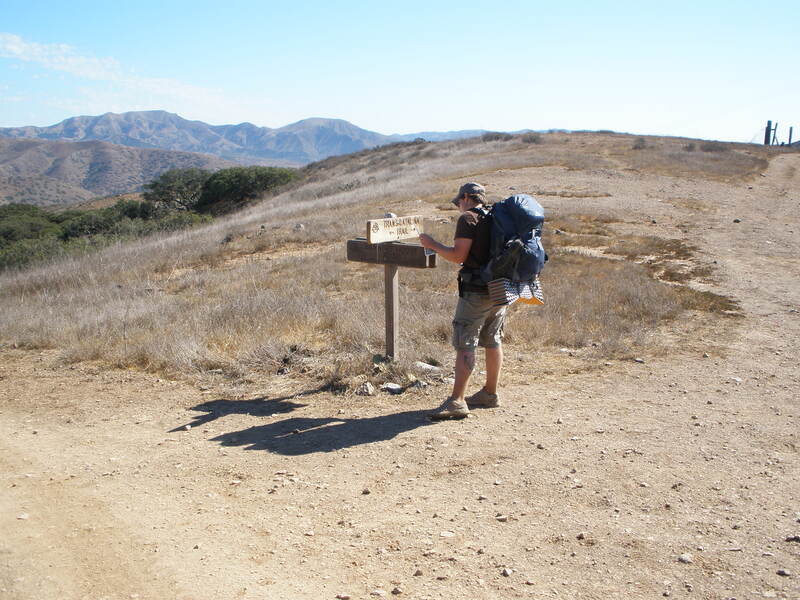 The 37-mile Trans Catalina Trail takes you from one end of the island to the other. Camping is available on the island if you plan ahead. Be sure to pick up your hiking permit from the Catalina Island Conservancy. Otherwise, they’ll send the bison after you (see No. 9). 4. Rent a golf cart: A rental golf cart on Catalina is perhaps the ultimate telltale sign of a tourist. But who cares? 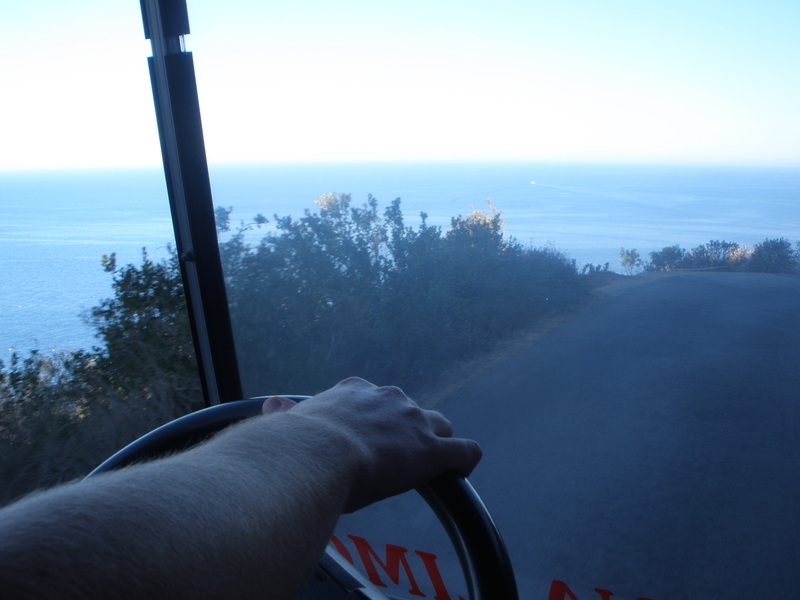 Whipping around the island on a cart is a fun way to explore Catalina. 5. Fish: There are plenty of fish in the sea, as the old saying goes. But if we’re talking about real fish, there are plenty of those, too. Fish from shore, or rent a skiff from the Two Harbors Dive & Recreation Center. There are also a few fishing charter companies to choose from. They’ll show you where the fish are hiding out. 6. Go on the semi-sub tour: The semi-sub doesn’t go far, and as its name implies, it doesn’t even get completely submerged. But come on, how many times in the past year have you cruised the ocean in a sub? For a few extra bucks, you can fire a food torpedo at the fish. Sit back and enjoy the frenzy. Food torpedo, people. 7. Dress up like Jimmy Buffett and sign autographs: It would work. Golf cart with a view. 8. Run a marathon: The Catalina Eco Marathon looks brutal. We only did the 10K version. The first half was all uphill. The second half was downhill on a dirt trail. Challenging, and highly recommended. We saw marathon runners limping across the finish line, full of dirt and sweat, looking like they were about to die. Good times. 9. Find the bison: Bison made their way to the island by swimming underwater on one breath for the entire duration of the trip. It is amazing what a determined herd of bison are capable of. The other story I heard is that the bison were brought to Catalina as part of a movie set. This doesn’t sound nearly as reliable as the first story, though. Who would bring bison to an island to film a movie? Weird. Anna McCanse Nelson literally wrote the (guide)book on Dominica. After living in Dominica for 2 years, one gets the impression she would go back in a heartbeat. 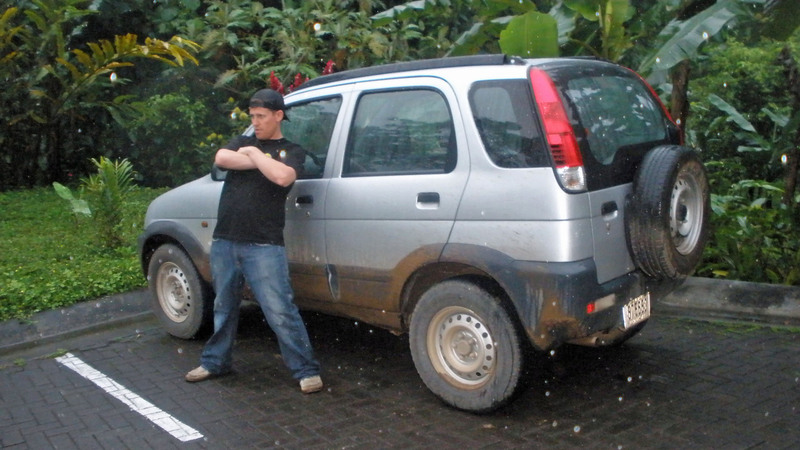 Eric Murtaugh: What brought you to Dominica? Anna McCanse Nelson: I joined the Peace Corps in 2006 and it was completely by luck that I was chosen to go to Dominica. I really didn’t know anything about the country and at the time there was almost no information about it, outside of a few pages in a Caribbean guidebook, so it was a pleasant surprise that it ended up being such an incredible place. 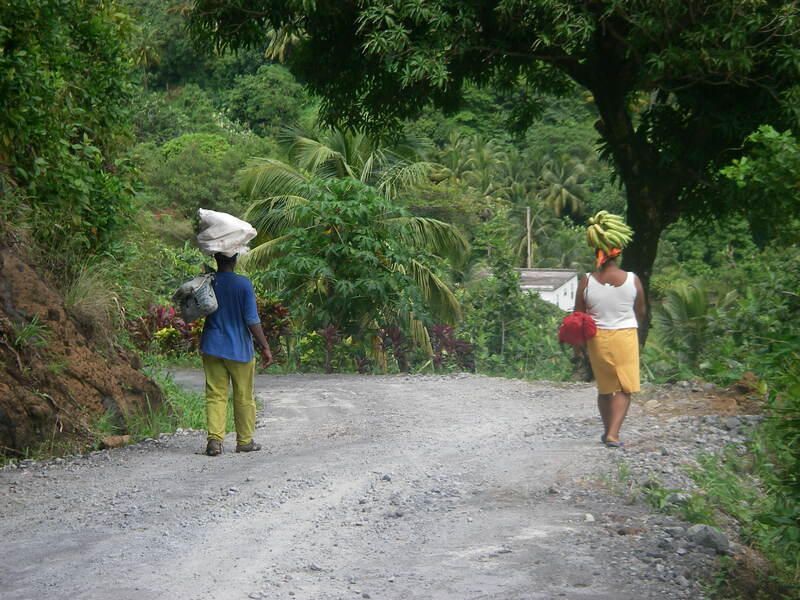 I stayed in Dominica for 2 years, in the village of Grand Bay. EM: What advice would you give to first time visitors to Dominica? AMN: Don’t expect a relaxing beach vacation in Dominica. You won’t find visitors laying around with mai tais with umbrella straws here. Be prepared to get active. There is so much to do and see but you should be prepared to do a bit of work, albeit really fun work like hiking to a waterfall, to get the most out of your vacation. EM: What’s the food like? AMN: The food is interesting and not really what you’d expect from a Caribbean island. The typical Creole plate that you can get at any local restaurant almost always consists of a type of meat, which will be either fish, chicken, or goat, some provisions, which is a kind of starchy vegetable, and usually a salad and rice and beans with a sauce for everything. American-type food is available as well in the capital and at most hotel restaurants. One of the best places to get a Creole lunch is at Kalinago Barana Aute, in the Carib Territory. Their cook, Rose, is amazing. "You won't find visitors laying around with mai tais with umbrella straws here. Be prepared to get active." Life in Dominica. EM: You wrote a guidebook on Dominica. How did that come about? Justin Kaplan spends more than 40 weeks per year working on the road. Justin took a minute to share his story with me. Eric Murtaugh: Your job seems to take you around the globe. What is that like for you? Justin Kaplan: The experience has been and continues to be humbling and awesome at the same time. You realize how tiny you really are when you’re surrounded by people. All the cultures, the people, the sights; this is definitely the best thing that’s ever happened to me and even when I get down, I remember how lucky I am to be in this kind of position—helping people make their lives better. EM: How many countries have you worked in thus far? EM: What is the paperwork process like with the countries you work in? JK: Most of these have been painless or have small hoops to jump through (Singapore and Australia simply require filling out a website and paying a fee), but Brazil is like pulling teeth. Between the notarized letters of intent from both my company AND my customer, the letter stating you’re not a financial deadbeat, and then having to actually physically send in your passport to the consulate— yeah, 3 weeks later it was a huge sigh of relief. I was told it’s like that for almost anyone coming to America though, so I suppose turnabout is fair play. 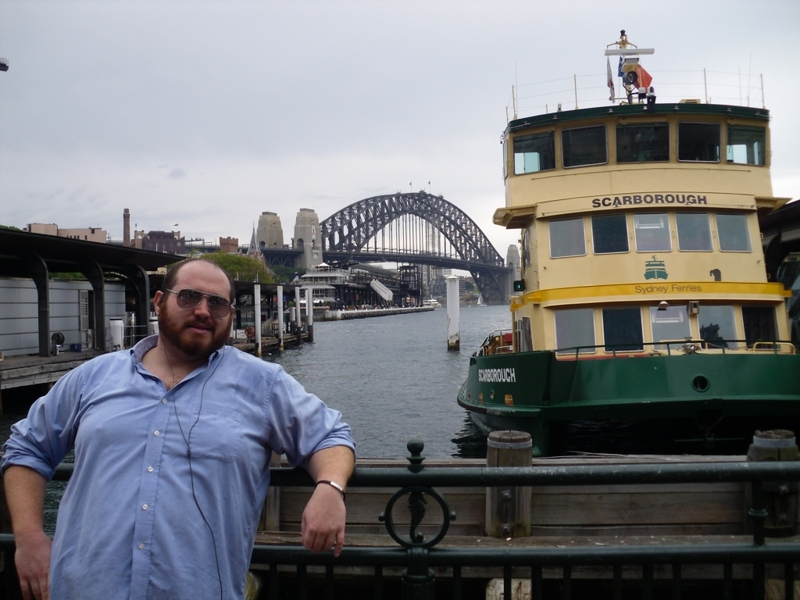 Justin, holding it down in Australia. EM: How did you score such a sweet gig, anyway? Could you describe what it is you do for work, and how long you’ve been doing it?